You have seven chances to jive to the sounds of afro-pop this month as top local band, New Afroteens, embark on a seven-week tour of the townships in Port Elizabeth and Uitenhage. The free musical experience under the theme ‘bringing music to the people’ is an effort to give back to the community through the performing arts. Nelson Mandela Bay Tourism (NMBT) has teamed up with the young performing artists in support of their focus on bringing top-class music to the township. “This could have the ripple effect of encouraging local people who wouldn’t normally go into the township to visit these vibrant city areas. Once they have been there, they will bring along visiting family and friends on a next visit and that in turn will contribute to local economic development,” said NMBT marketing manager Titus Chuene, adding that New Afroteens were a combination of the rich musical culture of Nelson Mandela Bay, showcasing talent passed on from one generation to the next. 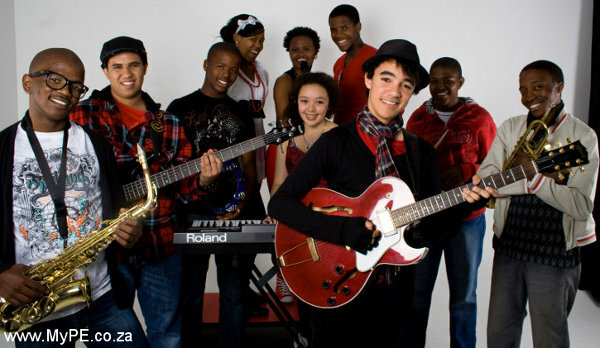 “The band is made up of vibrant young people who bring a youthful vibe to our city. Nelson Mandela Bay is known for its rich jazz heritage and New Afroteens have been our ambassadors to the rest of South Africa, playing a mix of music genres including their core afro-pop sounds,” Chuene said. Chuene said the township tour would be a great way to inspire other young people in Nelson Mandela Bay to “be all that they can be”. The band will stage concerts in seven different locations in the city townships over a seven week period. Sonwabiso Nompunga from On the Rise productions – the tour organiser – said because New Afroteens band members are full time students, they would only be available to perform at the weekend. Supported by NMBT, the township tour will start this weekend on Saturday 11 February at the SPAR complex in Kwanobuhle starting at 2:00 pm in the afternoon. Other concerts will be held in and Motherwell, Missionvale, Walmer/Gqebera, Helenvale, Kwazakhele, and Soweto-On-Sea over the following six weekends.